Sneak a peek into the many uses of these bags. 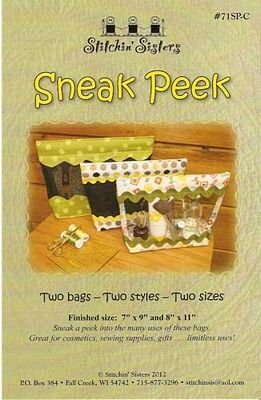 Great for cosmetics, sewing supplies, gifts . limitless uses! Create two bags in two styles and sizes. Use Vinyl or mesh fabric Finished Sizes: 7x9in and 8x11in. Includes Class and pattern. Mesh and fabric not included.